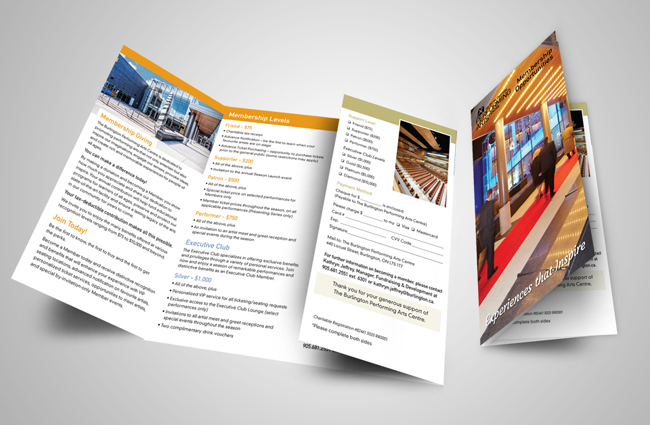 Since it opened its doors in 2011, new marketing materials were produced annually to highlight the performances at the Burlington Performing Arts Centre. 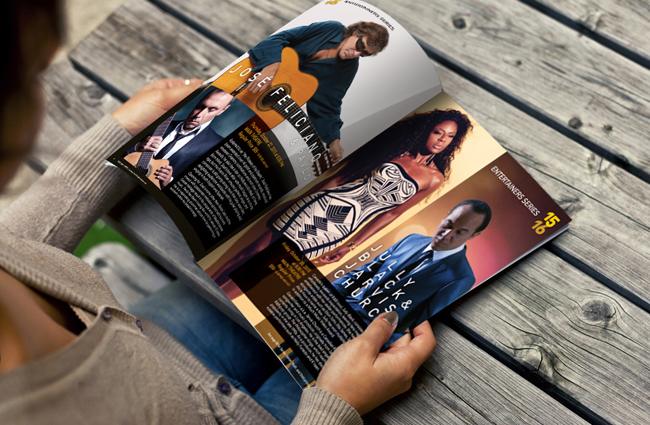 In addition to their season brochures, ads and digital marketing campaigns were used to attract audiences to their shows. 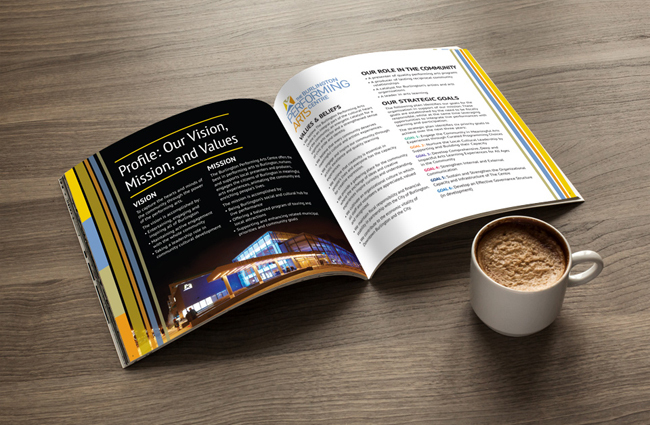 Internal documents like their strategy plans and sponsorship kits were also produced in accordance to their brand guidelines.